The estate, landscape and gardens of Hampton Court Palace represent a unique historical and horticultural resource of international value. 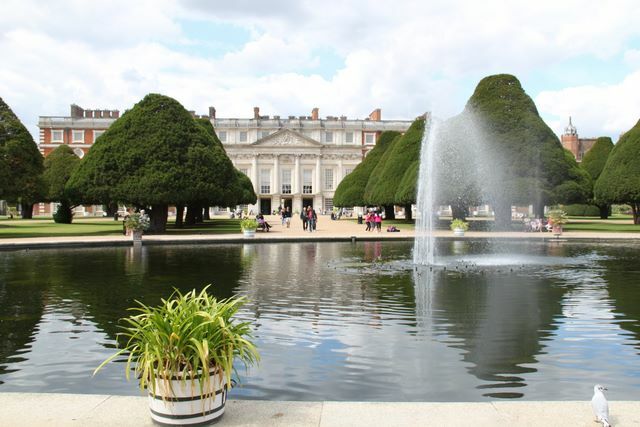 The park covers 750 acres (304 hectares), the formal gardens 60 acres (26 hectares) and the palace buildings 6 acres (2.5 hectares), all set within a loop of the River Thames. The Privy Garden represents a formal style of gardening which fell out of fashion soon after this garden was originally made. Its geometry is not to everyone’s taste but many find it extremely pleasing to the eye. Tiltyard walls - a wide range of wall shrubs grow upon these walls as the different aspects of sun and shade are used to good effect, with some unusual tender plants growing on the south facing ones.